Evidentia comes pre-populated with many different types of claims. However, you may occasionally need to create a custom claim type for a specific subject or set of subjects. 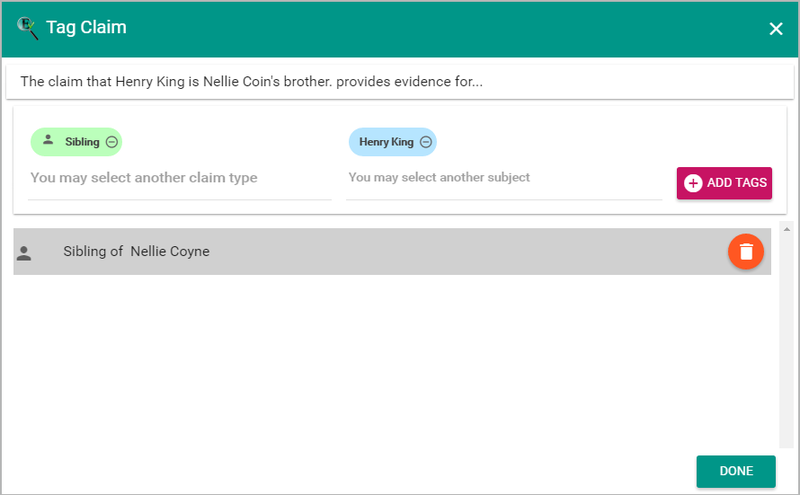 This is very easy to do, either in the List Manager or “on the fly” as you are attaching claims to your subject(s). A while back, I was working on proving a parent-child relationship that hinged upon evidence that two people were siblings. Since “Sibling” was not one of the pre-populated claims, I created my own by typing “Sibling” in the claim type box, thus adding a new claim type to my list. 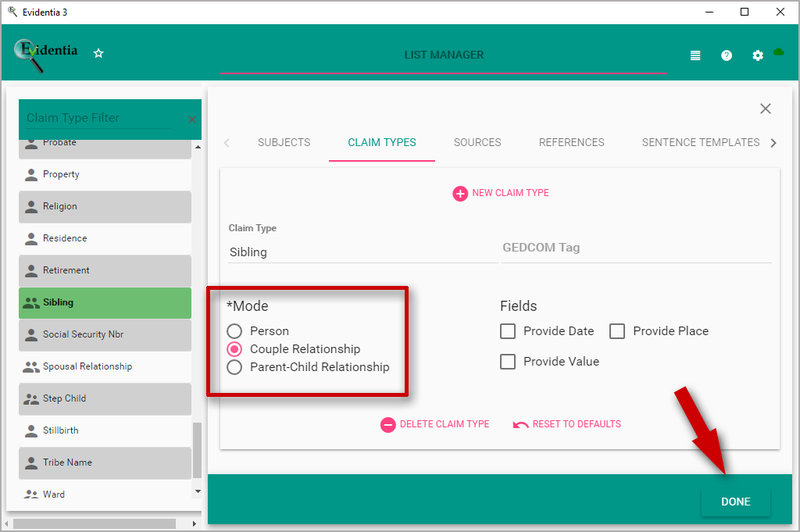 If you do create new claim types while you are cataloging claims, be sure that you return to the List Manager to select a Mode for your claim. Choose from “Person,” “Couple Relationship,” or “Parent-Child Relationship,” depending upon to whom the claim pertains. Click the Done button to save your updated claim type. For example, in my “Sibling” claim type, I selected the “Couple Relationship” mode. Of course, it is true that a brother and sister are not a “couple” in the traditional sense; however, this is the most appropriate mode because it indicates that the claim pertains to two people. If you plan to upgrade to version 3 of Evidentia in the future, it is very important that you select a mode for all of your custom claims types. Be sure to go through your Claim Type List to double-check all your custom claims.